The good thing about signing up for newsletters is that you’re kept up-to-date with what your favourite brands are up to. Sometimes, you’re also given the opportunity to see and pre-order a collection before everyone else. 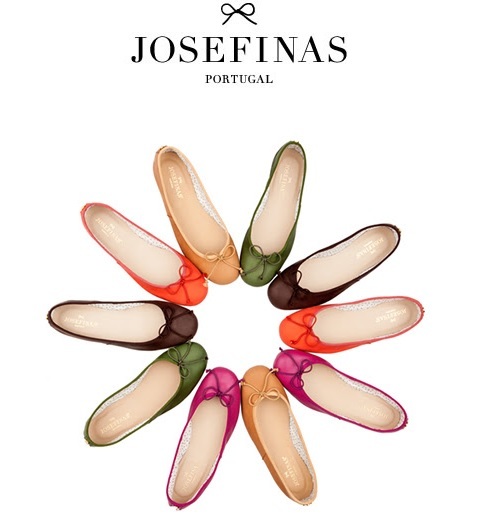 For example, this morning I had a lovely email from Josefinas sharing their new Spring/Summer 2014 collection – 2 days before it goes out to the rest of the World. Now, pre-orders don’t really work for me. In an attempt to stop being an impulsive buyer, I like to take my own sweet time before I move ahead with a purchase. But, hey, at least I get to see these beauties and share them with you today! On the flip side, I though I had my favourite Josefinas sorted. These news have thrown me off balance. Now, how can I possibly decide which pair to buy?! They’re all gorgeous!! Which one would you pick?? An outfit that is as casual and relaxed as I hope your weekend will be! Just a quick, work lunch-room, headless selfie displaying my blatant disregard for any sort of pattern combination rules. If you follow me on Instagram, you will have already seen this outfit (albeit without the footwear) but I like it so much I wanted to write about it. The striped t-shirt is quite possibly my favourite piece of clothing, judging by how often I wear it and how much I dread the day it will cease to be wearable. It’s super comfy and it just works well with any outfit – be it for work or casual outings. I’ve had it for over two years and should really have bought two! The foulard is from Mango and I’m constantly surprised how much I like how it looks with this shirt. I mean, don’t the patterns clash and all? I can’t tell. This mixing is a treat to my eyes! 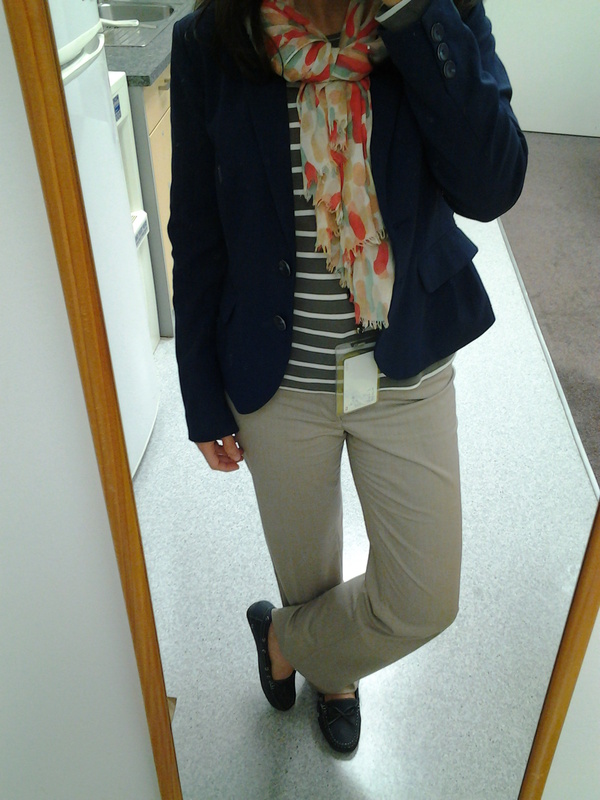 Work Selfie – Mixing patterns like a boss! As for the rest of the outfit, here’s a breakdown. I got the trousers while I was “shopping” my sister’s wardrobe last year and the shoes, of course, are made in Portugal. I bought them last May when I was over there and have just been waiting for Spring to kick in to start wearing them. The navy blazer helps to bring some definition to a potentially shapeless look. Pattern mixing seems to be making the rounds but it can go oh so wrong. I often throw items with different patterns together just for kicks and, every now and then, am happy with the result. In the end of the day, that’s the best clue on whether an outfit works – if it makes you feel great, then why not? !